Modalists believe that there is one god, the Father, who takes on three distinct modes or functions as Father, Son, and Holy Spirit. Why does god refer to god as "my God"? The solution to understanding these types of Scriptures will not be found in denying Jesus' deity, nor will they be solved by positing a Godhead in which two beings known as "God" share equality of deity. The solution lies in the acknowledgment of Jesus' complete, authentic, and genuine humanity; a humanity which imposed limitations (accepted willingly and intentionally) upon His deity so that He could live on the same plane as any other human, sharing in all of their experiences. When God assumed humanity, He acquired a consciousness and identity which He never possessed before the incarnation. He had a human psyche not overwhelmed or consumed by His deity. The exercise of Jesus' human nature (such as His consciousness, spirit, will, mind, emotions, and flesh) in such a way requires that in the incarnation, Jesus be spoken of as possessing an identity distinct from, but not separate from the Father. Just as we find a distinction, but not a separation of Christ's two natures, we also find a distinction, but not a separation between God and Jesus; the Father and the Son. This view does not "compromise the deity of Christ or the radical monotheism of biblical theology. But it does give credit to the completeness and genuineness of His [Jesus'] human nature. Any other explanation compromises the completeness of His deity or His humanity." All of the above Scriptures demonstrate the relationship between the genuine and complete humanity of Jesus (latent deity in genuine humanity), and the transcendent Spirit of the Father. Because Jesus would not rely upon His deity in order to experience the limitations of humanity, He needed a relationship with God. As pertaining to His humanity, Jesus could say that His Father was greater than He Himself. The Father was greater, not because His deity was greater than that of Jesus' (Jesus was Yahweh become flesh), but in the respect that the Father (God as the all existing Spirit) was not subject to any of the limitations of human existence as was Jesus. Not the answer you're looking for? 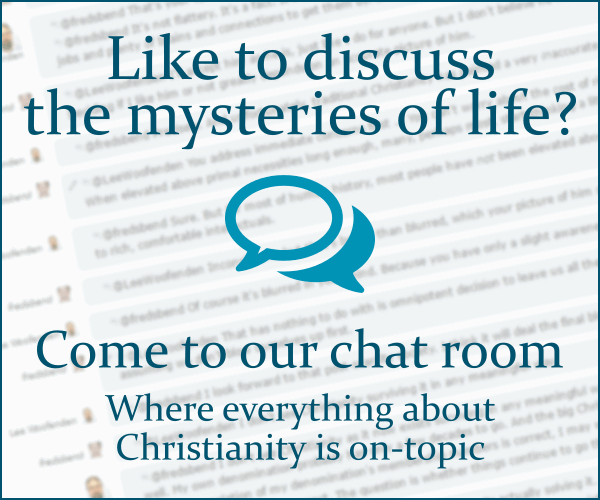 Browse other questions tagged exegesis christology revelation modalism or ask your own question. How do Mormons interpret the warning in Revelation about adding to the book? We're only in heaven for a short time? How would the four major eschatological views differ in their interpretation of Revelation 21:4? How do Protestants interpret Malachi 1:11 and Isaiah 66:20-21? How can one “buy” oil and “buy” gold, garments, and eye salve if these things can only attained by grace? How do Oneness Pentecostals (and other modalistic denominations) interpret Revelation 3:21? According to Calvinist, are there another kind group of people besides “they” in Revelation 22:4-5?